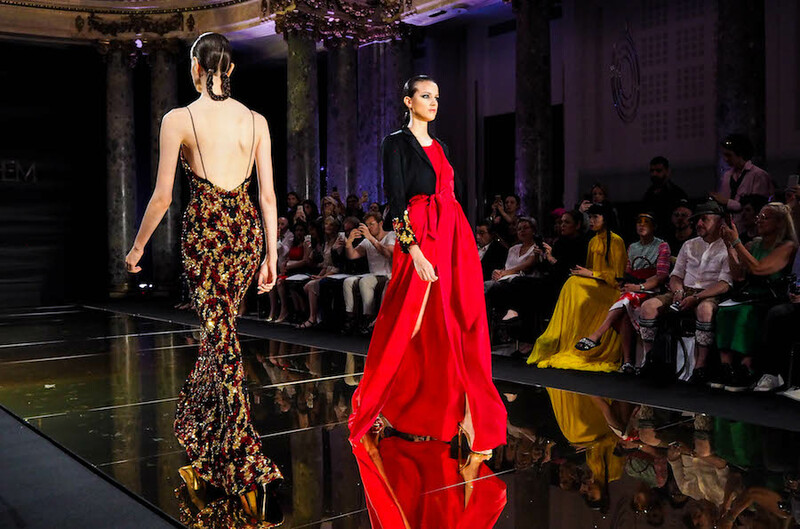 The venue, the dresses, the designer...Rani Zakhem finished my Paris Haute Couture Week with a bang! Pavillon Cambon Capucines is one of my favourite venues during fashion week, it's old Parisian charm and modern feel is the best of both worlds. Big names designers have made this their show home for seasons now, plus it's opposite the original Chanel store so the vibe doesn't get much better than this. So Zakhem truly chose a perfect backdrop to launch his Autumn/Winter 2018 collection. 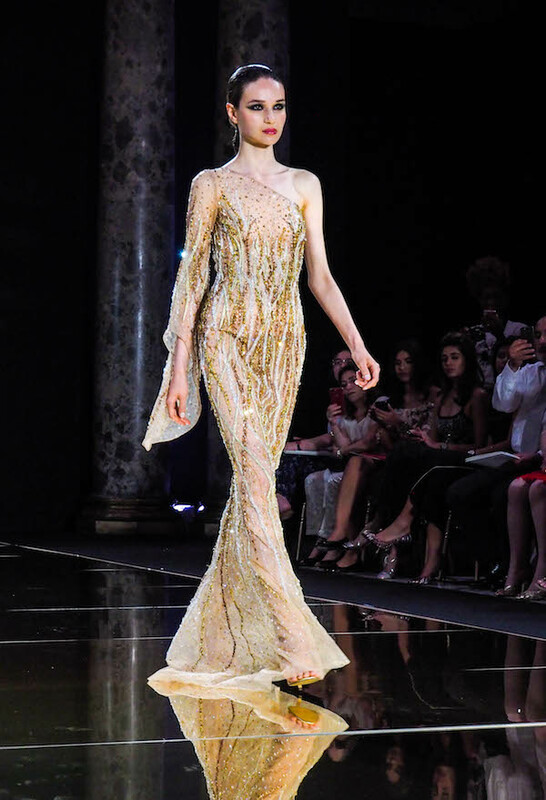 A mirrored gold runway made a striking entrance for his designs as they glimmered down the runway covered in sparkling sequins and embroidery. 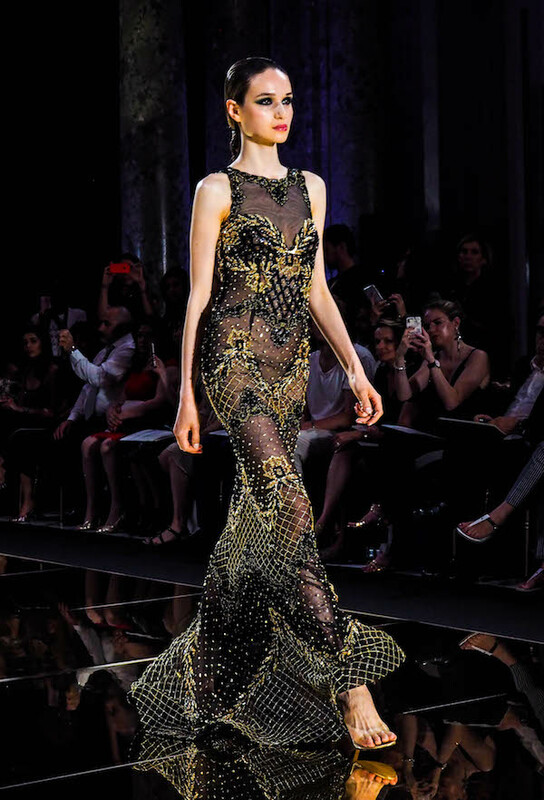 A tribute to combative women, his "glamazons" added a fierce element that perfectly complemented his couture gowns. 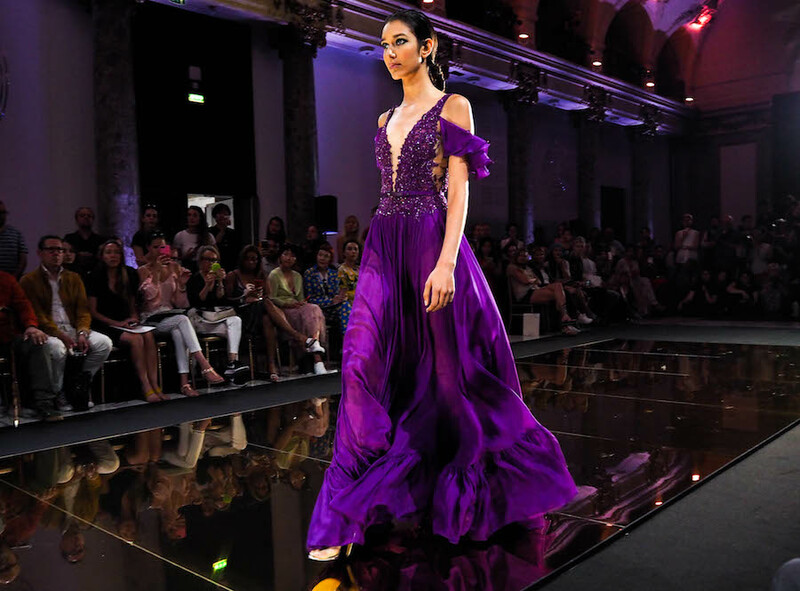 Zakham took us on a journey of silhouetted femininity and jaw-droppingly beautiful creations where we weren't ready to go home quite yet.